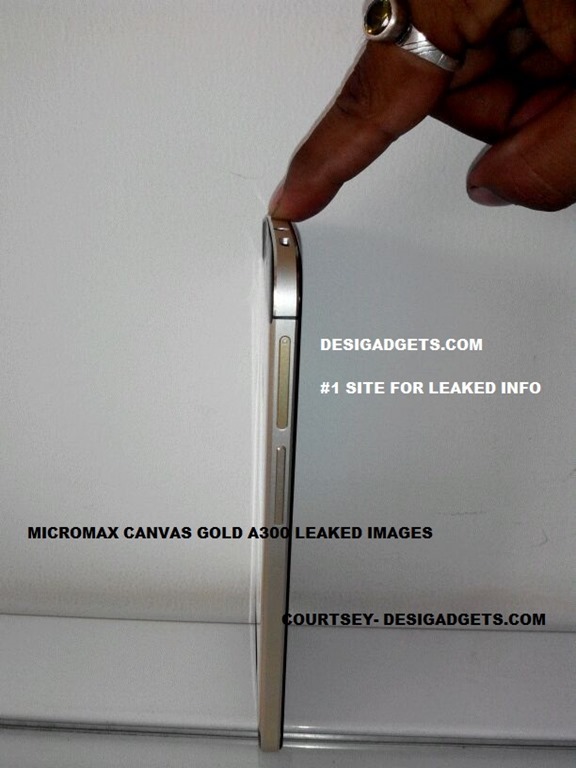 Micromax A300 which we discussed few days back has now surfaced is more leaked images. 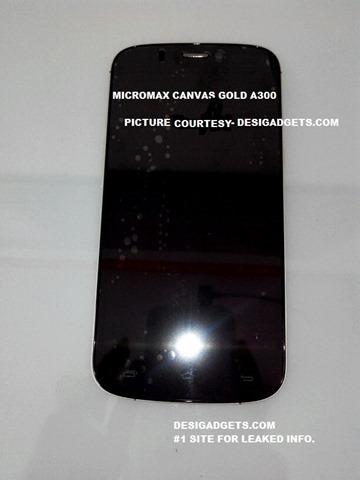 According to Desi Gadgets, Micromax A300 is officially dubbed as Micromax Canvas Gold A300 and will be available in India for a price of around 19,000 INR. The phone will have a 5 inch full HD display contrary to 5.5 Inch as reported earlier. The Chipset and other specifications are also similar to Canvas Knight A350 according to the fresh leaks. The only conspicuous difference so far (apart from design changes) is Android 4.4 KitKat onboard. The imaging hardware includes a 16 MP primary shooter and a 5 MP front camera. 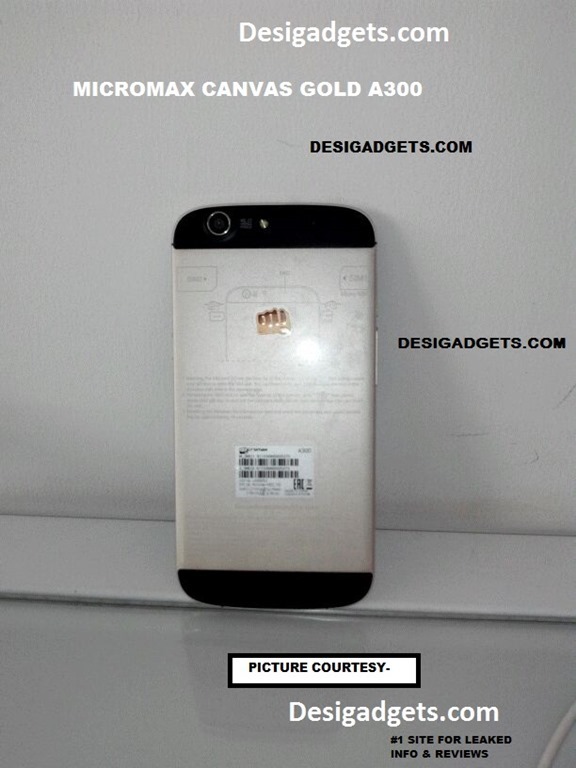 Canvas Gold A300 is powered by 2 GHz MT6592 Octa core processor backed by Mali 450 MP4 GPU. The RAM capacity assisting the processor is again 2 GB. As you can see in the images, the phone features a metallic finish around the edges and will most likely have a non removable back cover. The corners are slightly curved and the color contrast at the back looks good in Images. Yes, the phone shares lots of resemblance with Canvas Knight A350. Since Canvas Knight A350 is selling for much more than its launch price, a refreshed Canvas Knight fueled by Android 4.4 KitKat wouldn’t be a bad idea. Let’s wait and watch for official confirmation.